is the risk of default payment for the export of goods and services realized by the Insured. The commercial risks are covered by BAEZ and the non–commercial risks are covered by State. is the risk of non-payment under the contracts for sale of goods or provision of services with a credit period no longer than 2 years. is a short-term trade risk where the debtor in the shipment contract is a an entity from a State outside the States, determined as States with commercial risk which is officially announced annually. 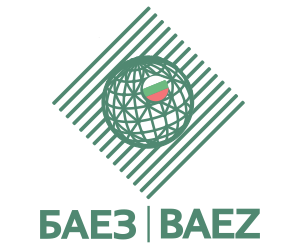 restrictions or prohibition on the shipment of goods or services imposed in accordance with international contracts to which the Republic of Bulgaria is a party, blocking the execution of insured export contracts signed before that imposition. is an entity that concludes insurance contract with the Insurer and has an insurance interest. The Insured is registered as a trader under the Commercial Law of Republic of Bulgaria. under the Insurance contract can be a Bulgarian or a foreign legal entity, foreign state, state institution or state organization that has concluded a contract for sale of goods or providing of services with the Insured and is obliged to pay under the contract. is the maximum amount of Insurer’s liabilities in respect of the payments. is the time from the invoicing date until the due date. is the time required to be settled the overdue payment and to make clear the matter between debtor and the insured. The beginning of the waiting period is the date of submission by the Insured of a Default Payment Declaration before the Insurer. is its capability to fulfill its payment duties. BAEZ assess of the creditworthiness on the basis of legal and financial data for the buyer. is the price of the insurance service and is defined by the Insurer depending on the debtor’s risk assessment, covered risks, terms and conditions of the insurance contract. arises when a covered risk is occurred under the Insurance policy. The date of the insurance event is the date of expiration of the waiting period in case of default of the debtor or receivables of the Insured are included in the List of creditors in case of insolvency of the Debtor. is the recovery paid by the Insurer up to the agreed in the Policy limits of the losses suffered by the Insured as a result of the occurrence of an insurance event.